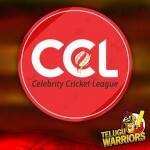 The 9th match of Celebrity Cricket League 2015 is being played between Karnataka Bulldozers and Telugu Warriors at Hyderabad. Udaya TV is broadcasting the match live, while Youtube.com is also providing the live match across the world. Telugu Warriors won the toss and elected to bowl first, Karnataka Bulldozers started to bat in an aggressive way that led the team perfectly to big total against Telugu Warriors. They had a sensational start of 55 runs. Pradeep lost his wicket on 17 runs, while middle order batsmen Sharma and skipper Sudeep scored 40 and 45 runs against Telugu Warriors. On the counter side Adarsh from Telugu Warriors picked up 3 wickets off 26 runs in his 3-Over spell. It was an excellent display by both the teams, but Karnataka Bulldozers successfully managed to set a big target of 188 runs with loss of 7 wickets. Now Telugu Warriors have to chase the target of 188 runs in 20 overs and 10 wickets in hand.